The dejected Royal Challengers Bangalore now travel to Mohali to face Kings XI Punjab in the 28th game of the season on April 13. 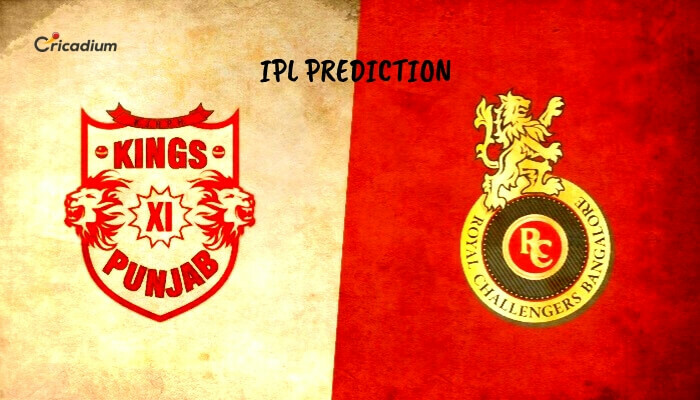 Keep reading to find out the IPL 2019 Match 28 KXIP vs RCB Match Prediction. It’s been a spirited season for KXIP so far. Under the leadership of Ravichandran Ashwin, the team has played some quality cricket. They have won 4 out of 7 matches so far. Even in the matches they lost, there was a good fight shown by the side. In the last game against Mumbai Indians, KXIP was in the driver’s seat for a long time. But a Kieron Pollard special made them lose the 3rd game. On the contrary, nothing has gone right for RCB. The Virat Kohli-led side has lost all their 6 matches so far. The batsmen have put up some fight on occasions but the bowling and fielding have let them down massively. However, things don’t get any easy for them as they face a few tough oppositions in a row. IPL 2019 KXIP vs RCB Match Prediction: The hosts have done a great job so far and they are now back at home. RCB’s struggle doesn’t seem to end anytime soon which makes KXIP the firm favorites.